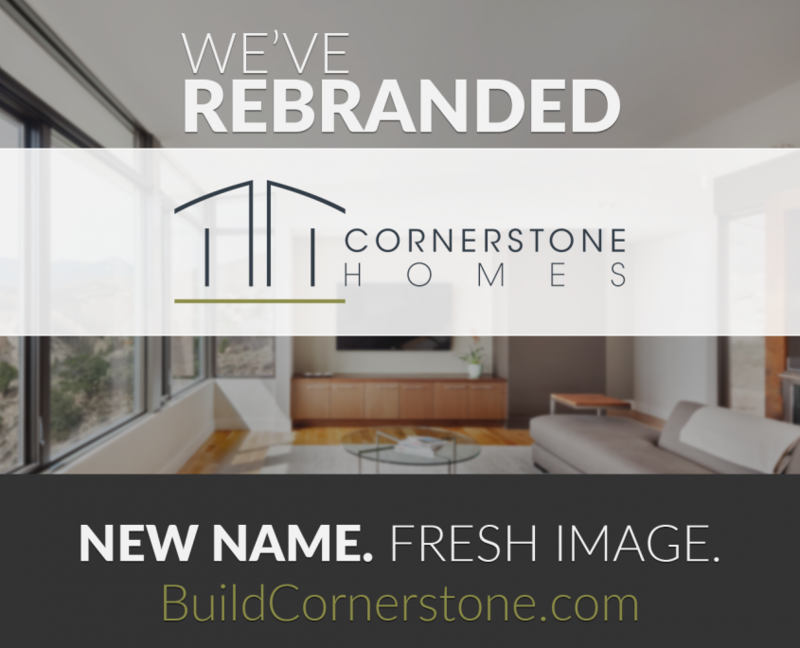 We are excited to introduce the launch of our new identity as “Cornerstone Homes”. For the last four months we’ve been working on a rebranding effort to modernize our image and update our corporate identity to better represent both our custom home division and residential development companies. Formerly known as “Cornerstone Contracting Company”, the new “Cornerstone Homes” name better reflects who we’ve evolved into as a home builder. After several strategy sessions, marketing meetings, and feedback from our team, we developed a sleek new logo and website based on our marketing objectives for the future of Cornerstone Homes. The elements incorporated in to the presentation of our new logo design include a simple geometrical icon with a thin san-serif typography for a modern look. Our new website buildcornerstone.com introduces a fresh, updated appearance with the use of full screen imagery and portfolio headers and backgrounds. In addition to the design and layout updates, we’ve improved the content on our site providing a better source for information to current and prospective buyers.